Dog Friendly Coffee Shops in Edinburgh. Welcome to our Clerk Street branch. Bagels, music and coffee roasted by us! Dogs are super welcome – the only thing we ask is that they are kept on the lead during your visit. 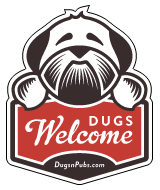 There are a total of 27 dog friendly listings in the Coffee category. Please log in, or sign up as a member to view all listings.